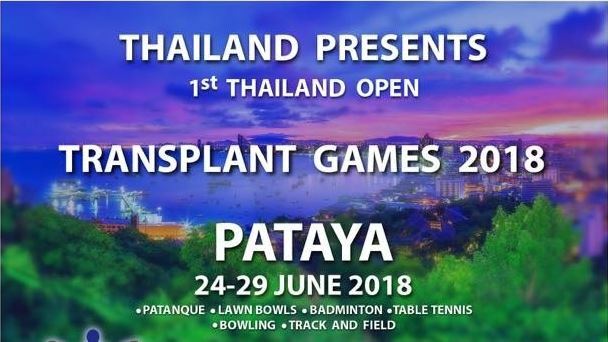 Thailand are hosting their first ever national games from 24th -29th June in Pattaya. Registration costs include accommodation (Twin Share), food, sports, social events and transport. Early bird special of $650 (USD) closes on 16th March then the price goes to $750 (USD) and registration closes on 30th April 2018. 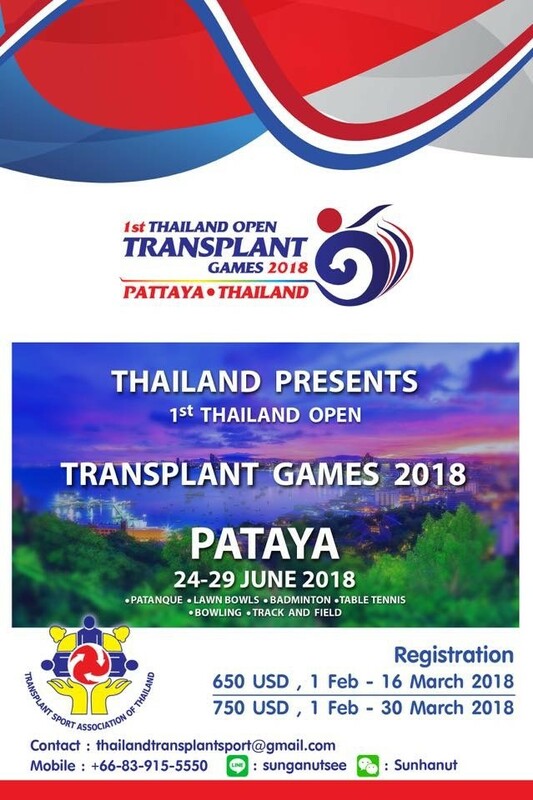 If you’re interested in attending or want more information please contact Transplant Australia’s National Sports Administrator Matty Hempstalk on 0404 177 748 or matty.hempstalk@transplant.org.au.